ClamAV or Clam Antivirus is an open source antivirus tool for UNIX. It was built specially for scanning emails at mail gateways but these days it is used for securing various types of systems and applications. 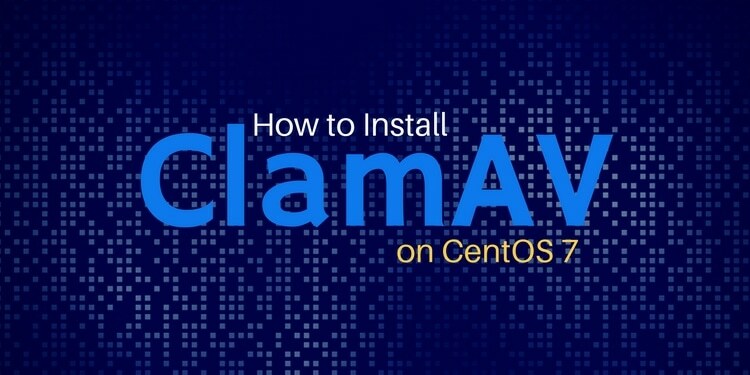 ClamAV provides a number of utilities including a ﬂexible multi-threaded daemon, a command line scanner and advanced tool for automatic database updates. ClamAV is used widely for securing Linux servers, mail gateways. It is also used along with CPanel to secure the file system. It is opensource, POSIX compliant, portable software licensed under GNU general public licence. It provides fast scanning and supports on access scanning of a file. It claims to detect over 1 million viruses, worms and Trojans, including Microsoft Ofﬁce macro viruses, mobile malware, and other threats. Capable of scanning within various types of archives and compressed ﬁles. Supports Portable Executable files, ELF and Mach-O files as well. Supports almost all mail formats and special files and formats. Advanced database updater with support for scripted updates, digital signatures and DNS based database version queries. ClamAV does not require any special hardware, you will only need a server with CentOS 7.x installed. You will need root or sudo access to your system. If you are logged in as non root user, you can either execute sudo -i to switch to root account or you can use sudo command at the start of all the administrative command. Before installing any package, it is recommended to update the system and packages using the following command. After updating the system we will need to add the EPEL repository into our system as ClamAV is not available in the default repository of CentOS 7. To add EPEL repository run the following command. Now run the following command to install ClamAV antivirus. Before running Clam antivirus you will need to configure few things. As we are working on CentOS, it comes comes with SELinux. SELinux may deny access to few files, which will generate errors and warning. You can either disable SELinux or modify it's configuration so that ClamAV can access all the files on the disk. To disable SELinux run the following command. To modify its configuration to allow ClamAV, run the following command. To check the status of SELinux configuration for antivirus, run the following command. Once we have adjusted SELinux, we will now need to modify the scanner configuration files of ClamAV. By default a configuration file is created at /etc/clamd.d/scan.conf, hence you will only need to modify the configuration. Before we can use the configuration, we must need to remove or comment out the Example word from the configuration. You can run the following command to remove the example word directly. If the above command results in an error then open the file in your favourite editor and remove the text Example from the file. You also have the option of which user will run ClamAV. You can either run ClamAV with the root user or any other user like clamscan etc. By default ClamAV creates a user in your system which we can use to run the scanner service. To find the user, you can run the following command. You will likely see the following output. We can use the above clamscan user to run the ClamAV scanner. Open the scanner configuration file in your favourite editor. In this tutorial we will be using nano editor, if you don't have nano installed, you can run yum -y install nano command to install nano editor in your computer. Scroll down to find the following lines. If you are using the ClamAV user, then you will need to start the daemon as root. As we are logged in as root, we can keep using this user. If you want you can also switch to root user here. Next you will need to define the server type in the configuration, scroll down to find the following lines. # The daemon can work in local mode, network mode or both. # Due to security reasons we recommend the local mode. Save and exit from editor. But before we can run the scanner service, we will need to configure and run Freshclam. Freshclam is used to update the database of virus definitions into the server. Freshclam configuration file is located at /etc/freshclam.conf. We will take a backup of the file and then we will comment out the Example line from the file. We can now run Freshclam using the following command. To check if the database is up to date or not, run the same command freshclam again, if any update is available, it will update it or it will show you that everything is up to date. As freshclam updates the virus database, it is recommended to run it frequently to download the latest malware signatures. To run it automatically, you either create a cron job or you can create a systemd service file. To create a cron job run the following command. This will open the cron job file in VI text editor, go to insert mode by pressing i and then enter the following line into the file. Now press Esc and then in command mode type :wq to save and exit from editor. The above cron job will execute the the freshclam command, twice a day, once at 1AM and then again at 1PM. You can also create a systemd service if you do not want to use cron jobs. Create a new text file using your favourite editor. Now add the following lines into the file. Now save and exit from the editor. To start the service and enable it to automatically start at boot time, run the following command. Now the systemd service will run freshclam twice a day to update the database. You can also check the status of our newly created freshclam service using the following command. You should see following output. Nov 01 09:07:06 ip-172-31-7-222 systemd: Started freshclam scanner. Now as we have our virus definitions updated, we can proceed further to run the scanner service of ClamAV. To start the scanner service run the following command. To automatically start the service at boot time, run the following command. To check the status of scanner service, run the following command. It should produce the following output when running normally. Nov 01 11:20:45 ip-172-31-7-222 clamd: HTML support enabled. Nov 01 11:20:45 ip-172-31-7-222 clamd: XMLDOCS support enabled. Nov 01 11:20:45 ip-172-31-7-222 clamd: HWP3 support enabled. Nov 01 11:20:45 ip-172-31-7-222 clamd: Self checking every 600 seconds. Nov 01 11:20:45 ip-172-31-7-222 clamd: PDF support enabled. Nov 01 11:20:45 ip-172-31-7-222 clamd: SWF support enabled. You can also use clamconf utility to check the configuration files. This utility will display the configuration of config file clam.conf and freshclam.conf. It will display information about software settings, database, platform, and build information. To use this utility run the following command. To scan the files in a directory, you can use clamscan utility. Clamscan is the command line scanner utility in antivirus. To scan your home directory run the following command. The above command will scan the directory /home and /root. --infected option will print the list of infected files, --remove options will remove the virus detected and --recursive option will enable clamscan to scan all the sub-directories and files. You will find the following output. To verify that ClamAV is working correctly, you can use the EICAR Standard Anti-Virus Test File. It is simply a signature of a virus but not an actual virus. Download the file using following command. Now scan the current directory using the following command. clamscan --infected --remove --recursive . You should get following output. [root@ip-172-31-7-222 ~]# clamscan --infected --remove --recursive . To scan the whole system, you can run the following command. The above command will scan the whole server but excluding the /sys directory. /sys directory contains few unreachable files, hence scanning them will print unnecessary warnings. The above commands can be used to scan the system, although be careful with --remove option, you can simply run the command without this option and then check for the files containing virus. Once you are sure of the files are containing virus, you can remove them manually or simply run the command again with --remove option. 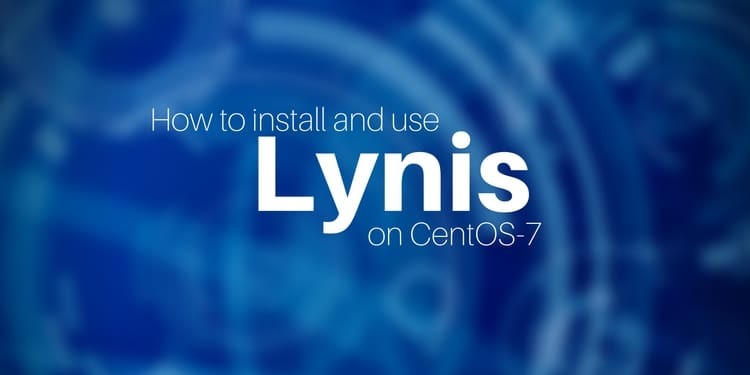 In this tutorial we have learnt how to install Clam antivirus in CentOS 7 servers. We have learned to scan the system when required. You can now successfully install the software to scan and secure your system against viruses, malware and rootkits.